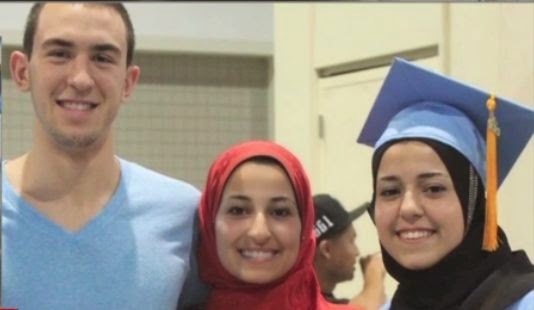 In a bizarre tragic incident, three Muslim students were killed in an apartment near the University of North Carolina at Chapel Hill campus, USA yesterday. All thrree were shot in their head by a 46 years American Craig Stephen Hicks who has been arrested on three counts of murder. The casue of murder is yet to be made clear. As per police and the wife of the killer, the gory incident took place on a parking issue.